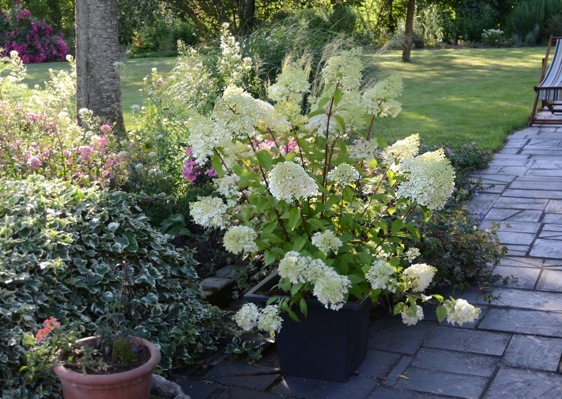 The Hydrangea paniculata Diamantino is exceptional because of the wealth of diamonds. These give an amazing glint when it flowers in the summer. Diamantino has a straight shape with solid, straight stems. The panicles are sterile and have a full structure. Height 120 cm and width 120 cm. 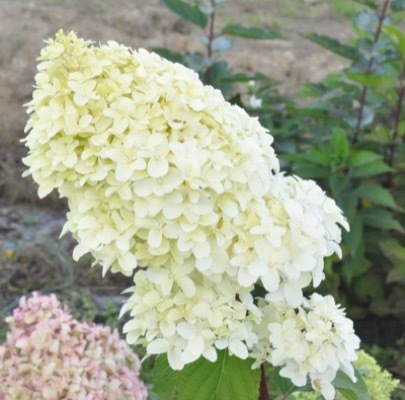 The exuberant flowering starts early with yellow/green panicles which colour until the beginning of September to pure white with a shimmer like real diamonds. Hardy to -25° Celsius. In a sunny spot or in partial shade the Diamantino shows up best. Diamantino grows well on every type of soil. 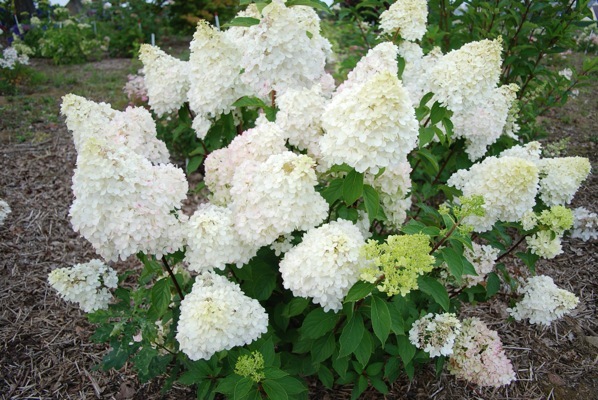 With the Diamantino you have a solid panicle Hydrangea in the garden that gives an abundance of diamonds.